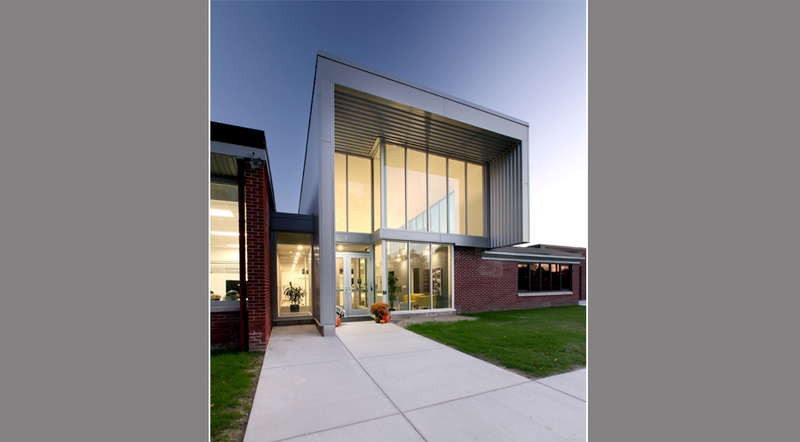 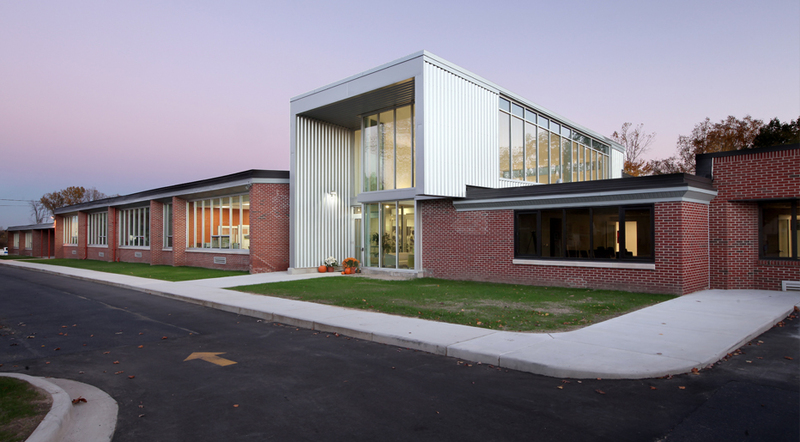 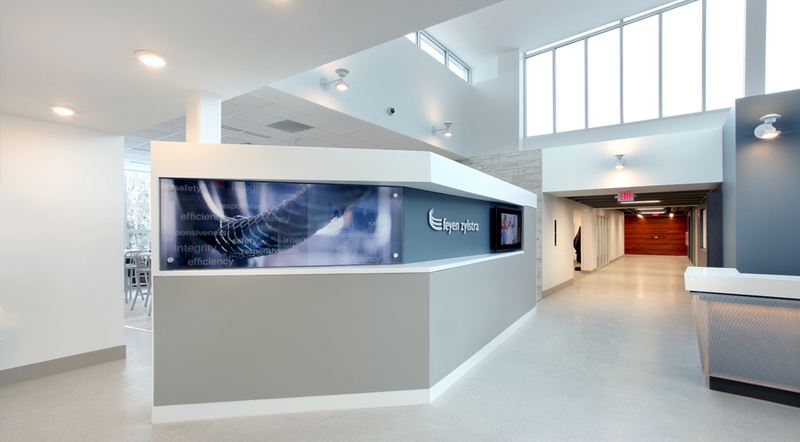 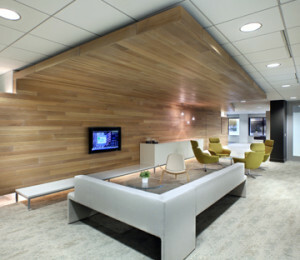 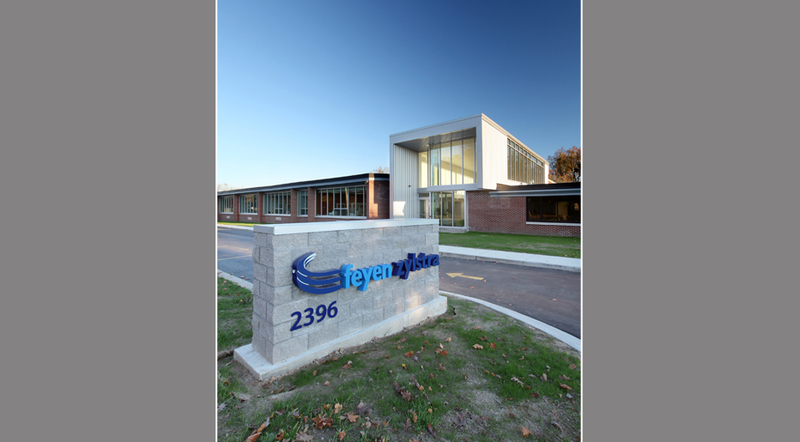 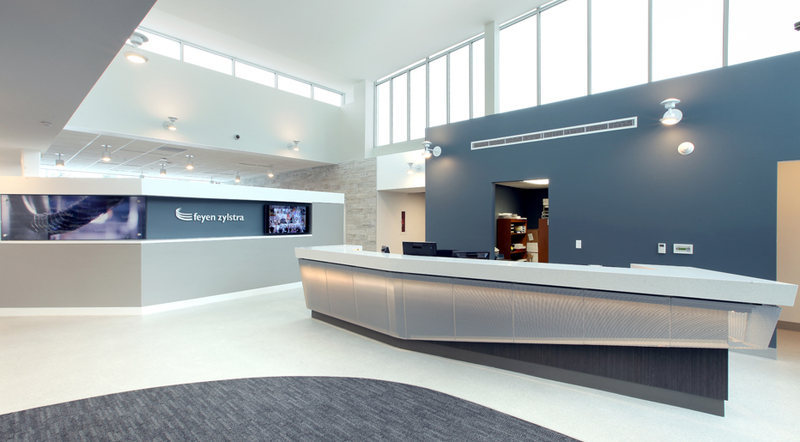 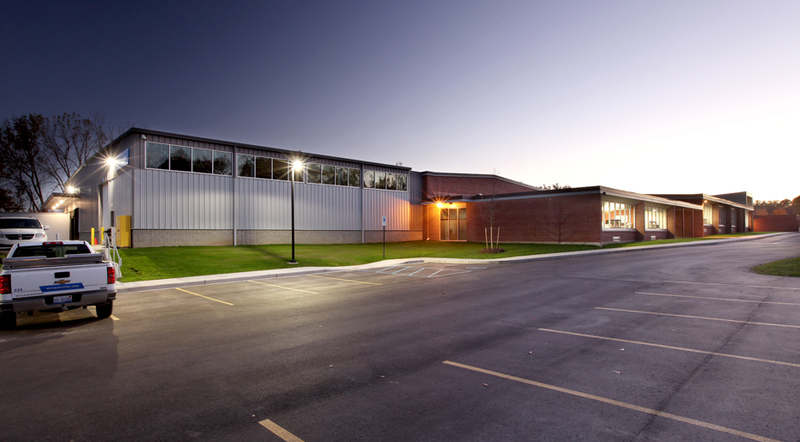 Consolidated three locations into one place exemplifying the character and brand identity of Feyen Zylstra, increasing amenities and supporting physical and professional comfort, flexibility, and transparency, as well as contributing and supporting the local community by renovating an existing vacant building. 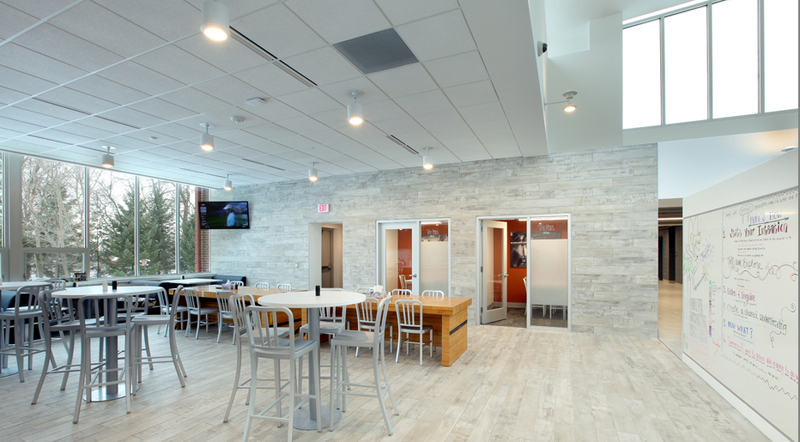 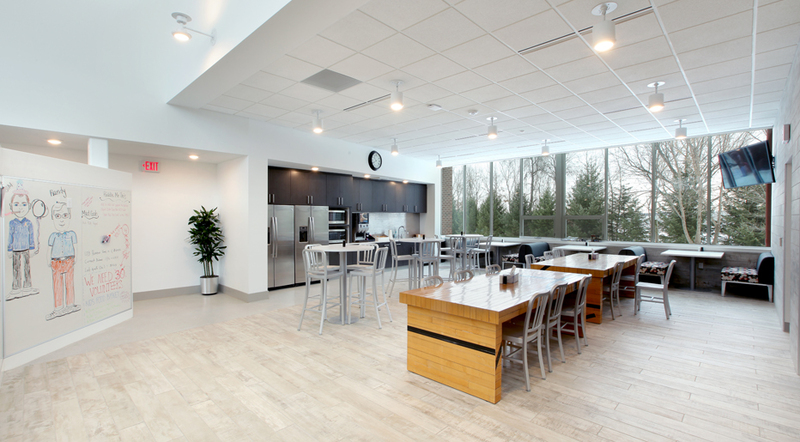 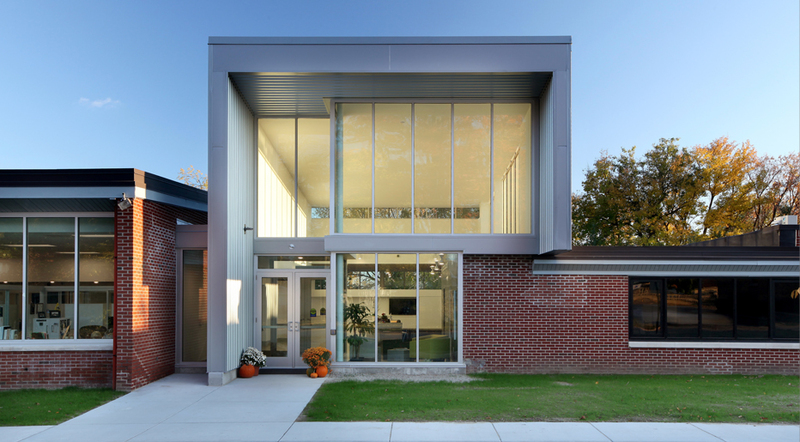 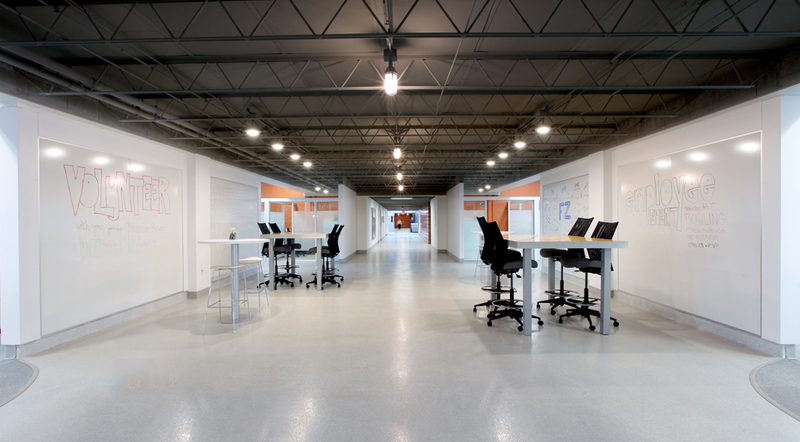 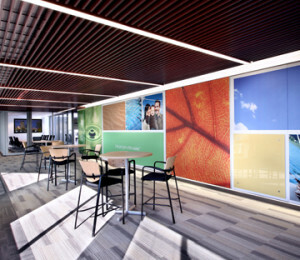 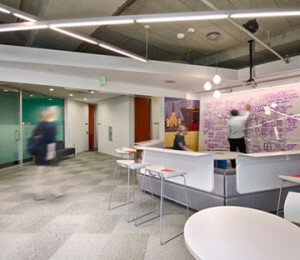 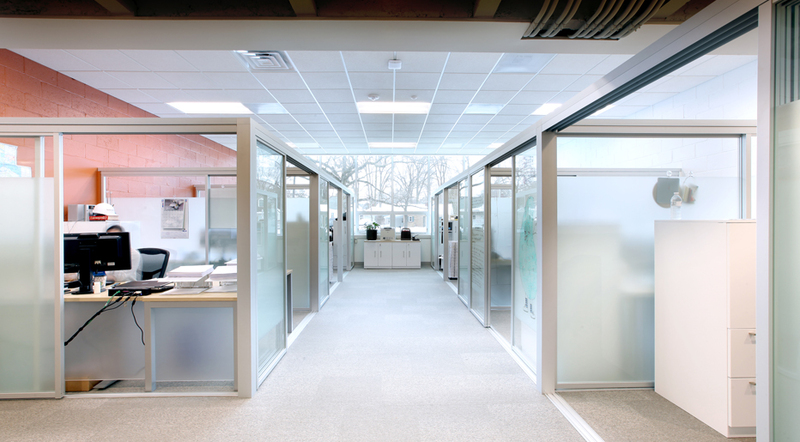 Integrated all users and departments with a welcoming, friendly, and fun atmosphere fostering face-to-face interaction while maintaining a balance of private and open space, and access to natural light. 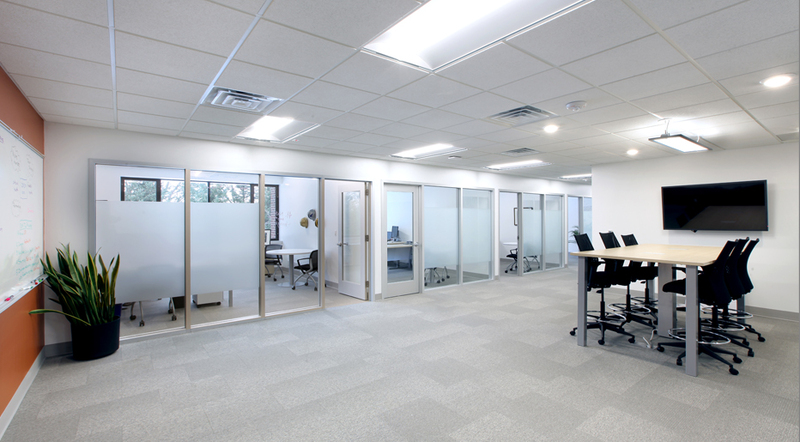 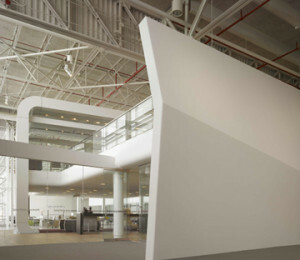 The design celebrates a performance driven business process through easy access to people, physical, and technological resources including appropriate work space for meetings and collaboration as well as focused work.